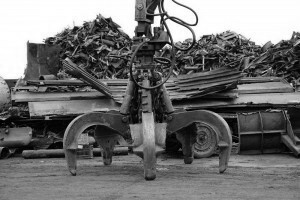 We provide tailor made scrapyard insurance cover for businesses engaged in the Scrap Metal & Recycling industries, especially Car Breakers and Scrap yards in Staffordshire and throughout the United Kingdom. We have specialist knowledge of these sectors, built up over 30 years by working with Scrap Metal Merchants and businesses engaged in Metal Recycling. Employers Liability – compulsory insurance if your company has more than one director and/or has PAYE employees and/or casual or voluntary labour. If you are an employer with a scrapyard business or any other business you are legally obliged to have Employers’ Liability insurance. You can be fined up to £2,500 for every day you do not have appropriate insurance. Employers’ liability insurance covers the cost of compensation and any associated legal fees. What makes us different from most brokers offering scrap yard insurance is that in most cases we don’t take a commission from the insurance companies for placing the business with them. Instead, we prefer to work on a fee basis so that our earnings are transparent which we feel is more ethical. Whether you are the Director or Proprietor of a scrapyard, Car Breaker or Scrap Metal Merchant you can be assured of our expert advice and knowledge of your business sector. Please click here to arrange a call back or to email us if you would like a quotation.